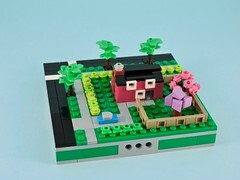 I really like the LEGO Minecraft theme. It may not be to many AFOLs liking, with brick heavy, play focused sets, but I love the modularity and the faithfulness to the spirit of the source material. This latest wave of sets has managed to combine this with reasonable prices and great designs. What struck me first about The Nether Railway was that use of the new macaroni tiles. This is a distinct refinement on their previous mine cart solution. 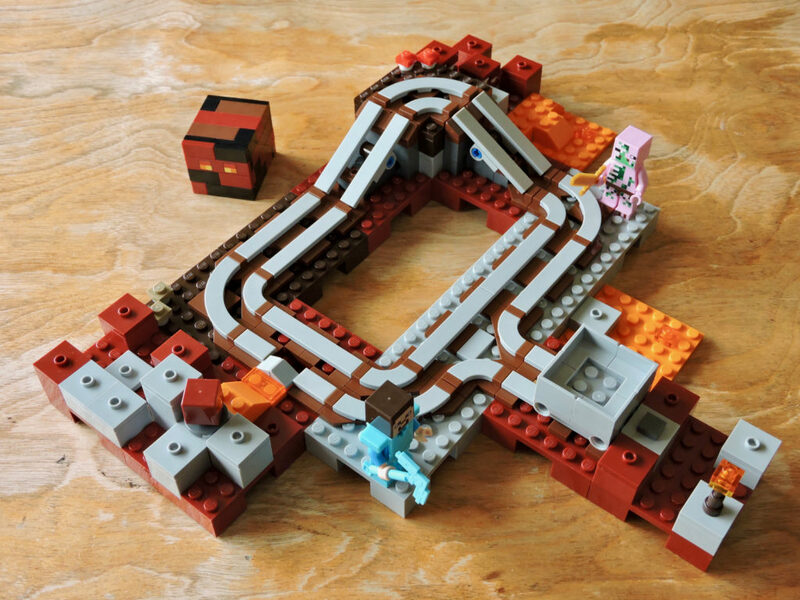 I never built that set, but it was easy to see that these curved tiles were ideal for this set. Inside the box is three large bags of elements with a nice mix of new dark red, bright orange, and medium stone gray elements. 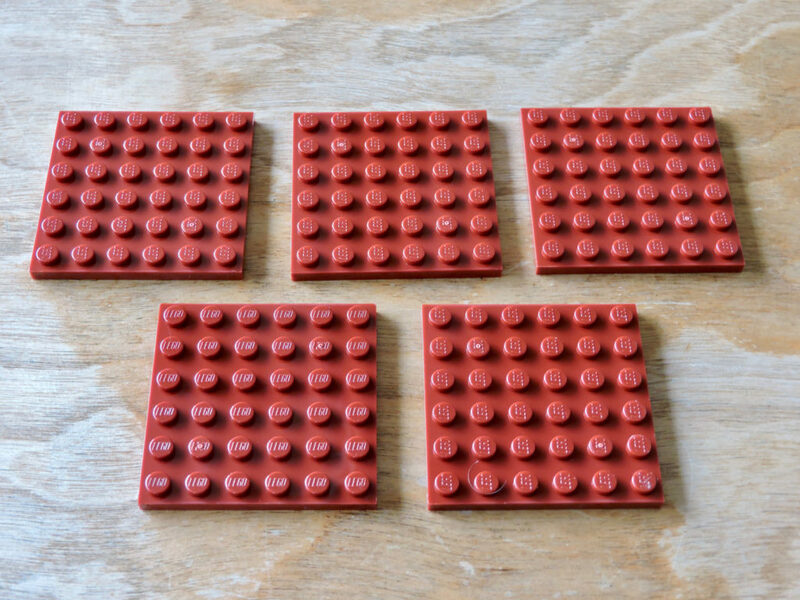 A lot of bricks and 6×6 plates! All of the mobs are in the first bag. The minifigs aren’t anything new, but the Magma Cubes are unique to this set. 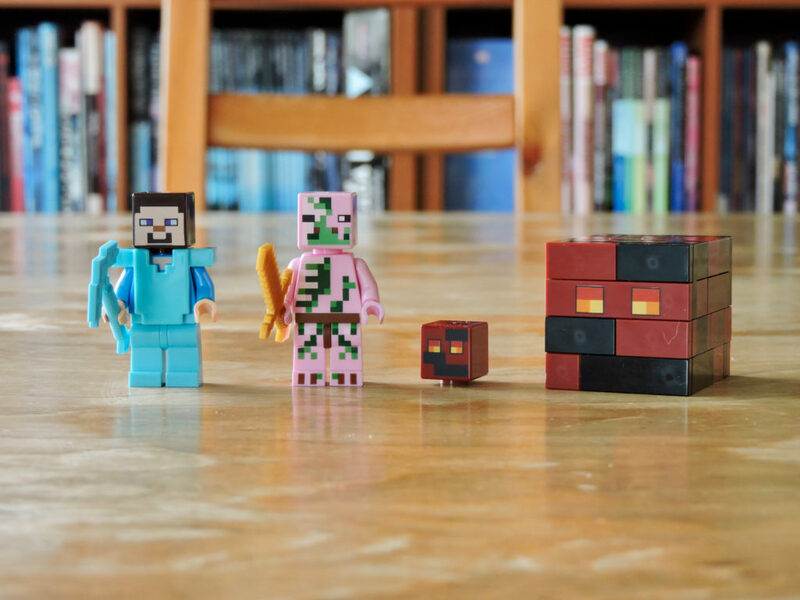 The little one is just a new print on the Minecraft head element, but it works perfectly. The bigger cube is brick-built, and again it captures the mass and coloration nicely. In addition it segments much like the cube in the game! The technique that the designer used to get this play feature is really cool and a lot of fun to build. The first bag is mostly details and sub-assemblies that will get used later. Bag 2 has five of these new dark red 6×6 plates. 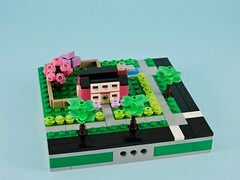 These are new with this set and I suspect that builders will eat them up like candy. 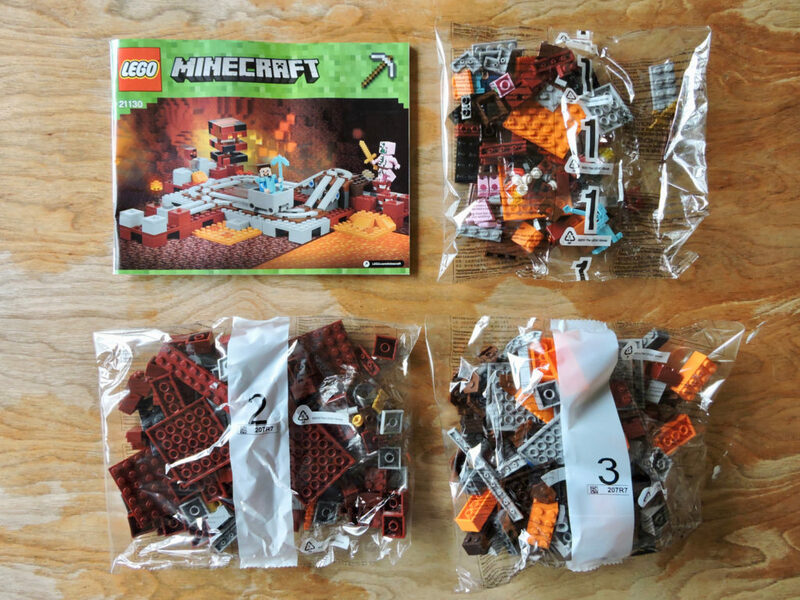 The rest of the bag builds support modules and two of the specialty track sections. Our little Magma Cube takes up residence on that modules, where a passing mine cart will cause him to hop excitedly. Here is the mother lode of new elements in bag 3. 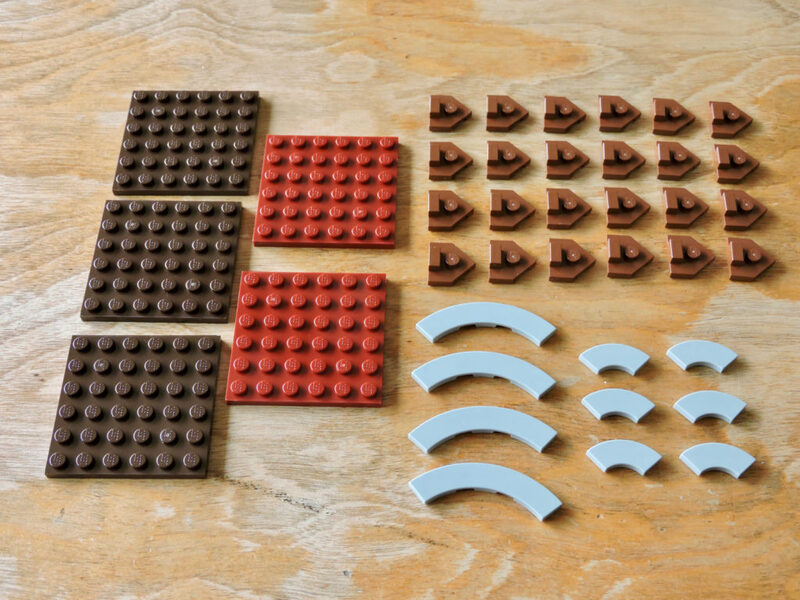 There are more of the 6×6 plates, this time adding Dark Brown (also new!) to the mix. This is the first set since 10255 Assembly Square to have the macaroni tiles and this set has the same quantity of each! Those strange little pentagonal jumpers are a new element, seemingly designed just for this set. Their geometry seems tailored to a specific usage, so I’m looking forward to seeing how other builders managed to repurpose them. The last bag builds out the bulk of the rail modules. Here we get to see how those new jumpers combine with tiles to create continuous rails with a consistent one-stud gap. 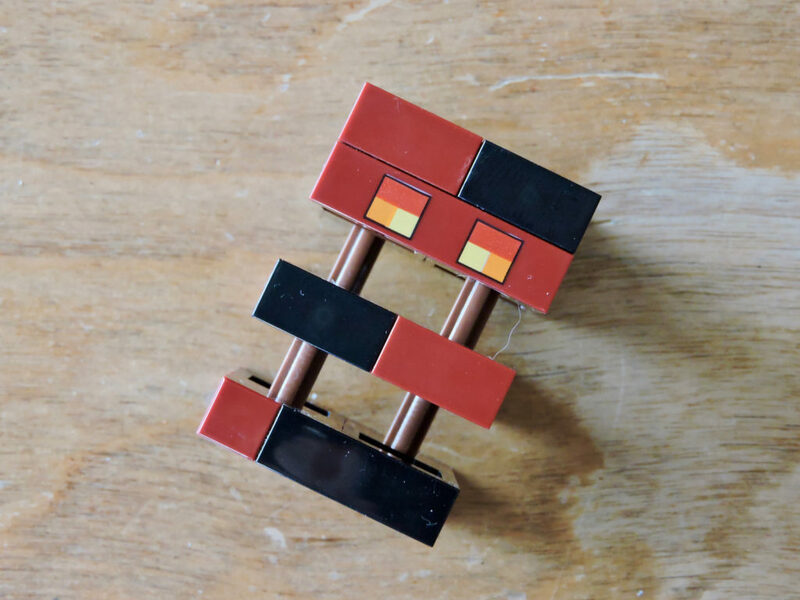 The bright orange 2×4 bricks are used to connect the modules. 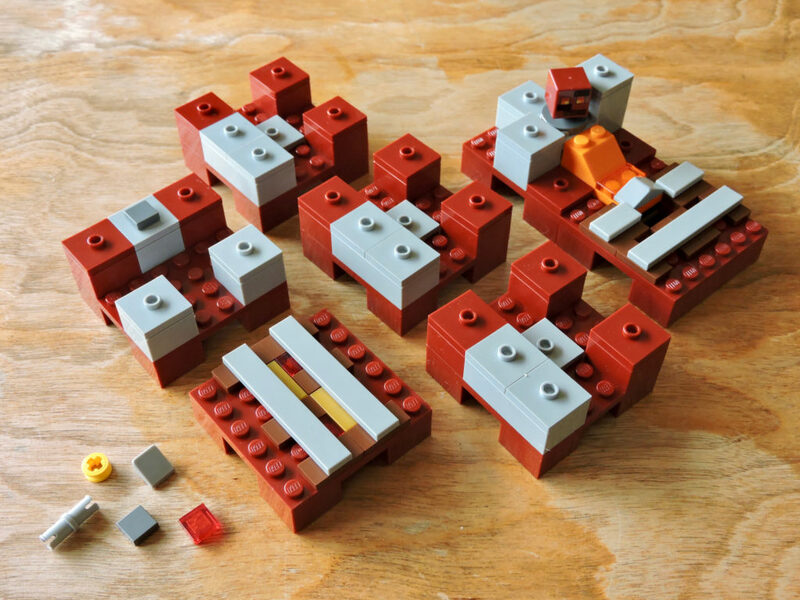 With all the modules built, we can assemble this basic layout. While not the largest, it does nicely illustrate how the tracks can be set up and the instruction booklet gives alternate layout suggestions. This, to me, is one of the strengths of the Minecraft theme. 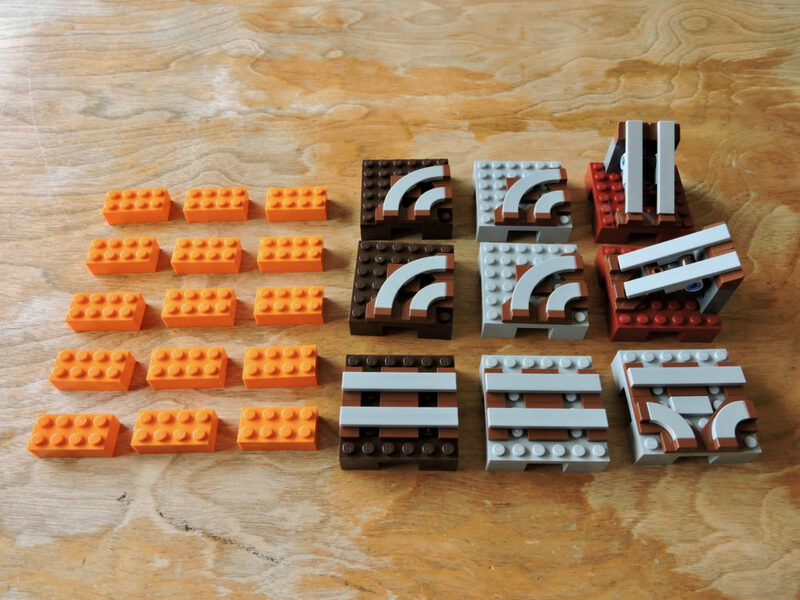 So many of the sets are designed to combine and reconfigure to create larger play spaces. 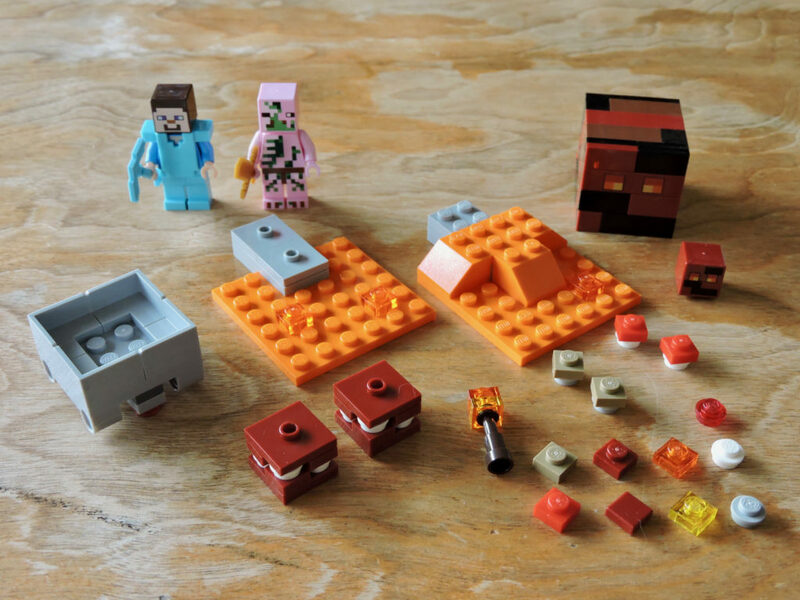 Even if you could care less about Minecraft, this set is an excellent parts pack. 387 elements (plus 13 extras) in a $30 set is a nice price per piece on top of all the uncommon or unique elements. This would be a great draft set! 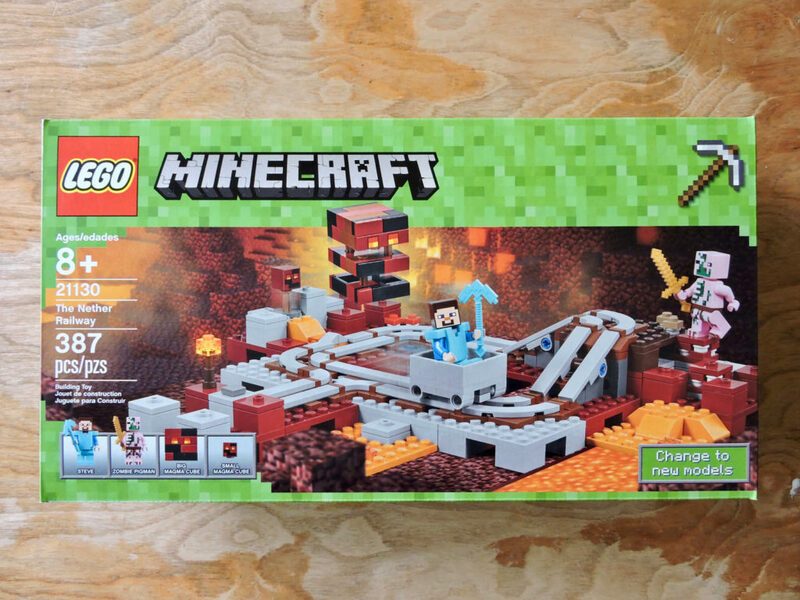 Honestly, check out all the new Minecraft sets. So many great parts.